Michael Thornton made his name in the law by becoming a national leader in handling asbestos-related cases. 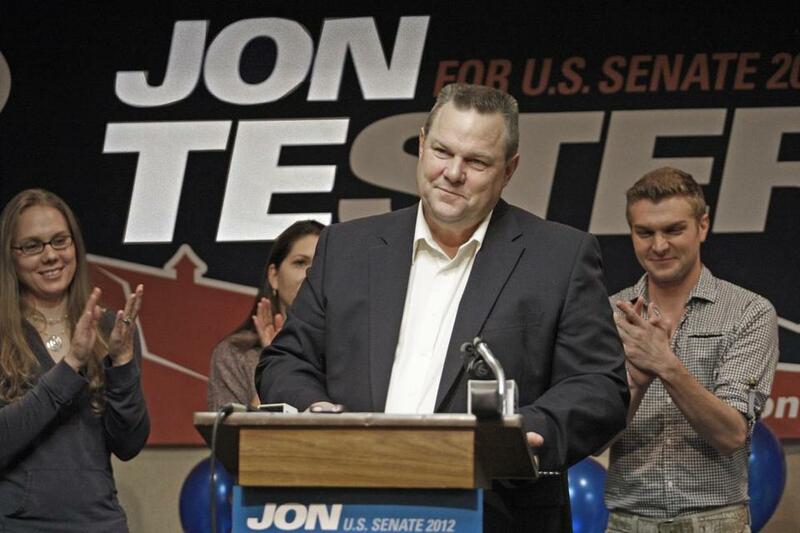 US Senator Jon Tester came to Boston for a fund-raiser in 2010. He raised $26,400. That same day, Thornton Law Firm partner David C. Strouss received a $2,400 bonus — it equaled his contribution to Tester. Michael Thornton, a former Marine who served in Vietnam, made his name in the law by becoming a national leader in handling asbestos-related cases, especially those in which victims developed mesothelioma, a deadly cancer caused by asbestos exposure. Thornton lawyers have handled thousands of such cases, made millions of dollars, and even helped to underwrite research into mesothelioma. But that pipeline of profits was threatened just over a decade ago when some leading politicians, including President George W. Bush, moved to limit damages in class action lawsuits and to allow the victims of asbestos exposure to file their claims for compensation directly to a national trust fund — bypassing lawyers who typically receive a third of any award. That’s when Thornton learned the power of political donations. The firm’s partners contributed heavily to mostly Democratic politicians who, they hoped, would thwart efforts to create the trust fund. They gave more and more each year, from $257,300 to federal candidates and the Democratic Party in the 2003-2004 election cycle to nearly $1.1 million a decade later, according to the center — quadrupling their contributions. Thornton is a small firm — usually 10 or fewer equity partners — but the lawyers punch well above their weight in political fund-raising. In the two-year election cycle ending in 2014, for example, lawyers at Thornton Naumes, as the firm was then called, donated more than much larger multinational firms such as Greenberg Traurig, a Miami-based law firm that claims 38 offices and 2,000 attorneys. Over three election cycles — 2010, 2012, and 2014 — Thornton partners contributed more than $3.4 million to candidates and the party nationwide, especially Democratic Senate candidates who opposed overhauling the asbestos litigation system. Just one Republican senator has collected contributions from Thornton’s lawyers. Lindsey Graham, an idiosyncratic South Carolinian and former trial lawyer, received $62,800 over the last decade. Graham helped peel away enough GOP support in the Senate to ensure the trust fund bill’s death on Valentine’s Day 2006, according to former Senate aides. Thornton’s lawyers were especially generous to Vice President Joe Biden, one of Washington’s strongest advocates for trial lawyers, contributing more than $78,000 to his campaigns from 2003 to 2008. During President Obama and Biden’s reelection campaign in 2012, Michael Thornton hosted a fund-raiser for the Obama Victory Fund at his house in Cambridge, where Biden was the guest of honor. Some of the biggest donors — some Thornton partners gave $20,000 — were escorted into a private room and offered the chance to be photographed with Biden, said someone who was there. Thornton records show the lawyers were reimbursed for those donations. Thornton declined to speak to the Globe, but he has been vocal about his support for Biden, who, as a senator, once chaired the Judiciary Committee, and twice helped block legislation that would have established the asbestos trust fund. Once Michael Thornton’s willingness to raise large amounts of money became known among lawyers and politicians, the American Association for Justice, the trial lawyers’ Washington-based lobbying group, increasingly turned to the firm’s lawyers for help, even for little-known candidates running in states far from Boston. “At first it happened every three or four months, and then it was sometimes three or four times each month,” even though the threat of asbestos litigation reform had faded, said the former employee who requested anonymity. As the number of fund-raisers started piling up, partners began to grouse. Even though Thornton called the contributions “voluntary,” partners felt pressured to give, according to the former employee. After all, Michael Thornton was the firm’s lead partner, with enormous sway over what the other partners were paid. So, according to three former employees, Thornton Law Firm adopted the donation reimbursement system. Bonus checks that were reviewed by the Globe made clear that the payments were for political donations, with notations giving the name of the politician the partner had donated to. The Globe and the Center for Responsive Politics reviewed records covering payments to three senior partners — Thornton, Bradley, and Strouss — who are among the top shareholders in the firm. Then the Globe and the center matched the bonuses against federal, state, and local campaign records. Campaign contribution and law firm records from 2010 through 2014 show that Thornton donated the most, and the firm gave him bonuses that matched not only his donations, but at least 33 made by his wife, Amy, who runs an investment fund. The couple donated just over $1 million between 2010 and 2014, and Thornton received $862,450 in offsetting bonuses. Michael Thornton, through a spokesman, denied the law firm reimbursed his wife’s donations. Bradley made donations of $340,535 and received almost as much in bonuses — $339,000 over that period, the records shows. 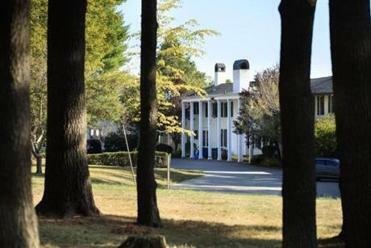 Strouss gave $205,150 over the five years and received almost the same amount in bonuses — $197,150. By donating as individuals, lawyers for the firm were able to collectively give far more to individual candidates in a single year than the firm could have donated directly under federal law. In 2012, the lawyers gave Warren $42,200, 16 times as much as the firm could have given her directly. 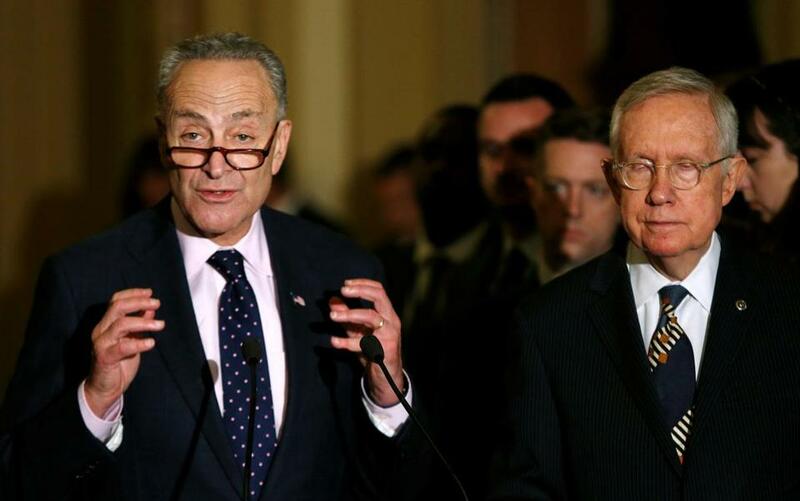 Thornton partners gave $52,000 to US Senator Chuck Schumer (left), Democrat of New York, over a 10-day period in 2013 — 20 times as much as the $2,600 that the partnership itself could have donated. Thornton lawyers also donated more than $260,000 to state and local politicians in Massachusetts from 2010 to 2014. If those donations were determined to have actually been made by the firm — because the lawyers were reimbursed — they would be illegal, since political contributions from corporations or partnerships are prohibited in Massachusetts. There’s no indication that any of the politicians who received Thornton donations knew anything about the law firm’s questionable reimbursement system. That’s not what Thornton did. Brian Kelly, Thornton’s outside counsel, said the firm’s practice is legal because, at the end of each quarter, the firm’s accountant deducts the political donations from something called the “capital account” of each partner with the firm. The capital account is a way for the accountant to keep track of the partners’ share of equity in the firm. The deductions from the capital account are on paper only, Kelly acknowledged. When partners leave the firm, they may be entitled to a payment from the capital account that Kelly says is reduced by the amount of reimbursements received. But reimbursing partners out of their equity in the firm — as Kelly said Thornton did — is likely illegal, said Brett Kappel, a Washington lawyer who specializes in campaign finance. “If they were legitimate contributions, they should have been deducted from their partnership distributions,” Kappel said. Bradley, the senior partner, abruptly resigned his position as assistant majority leader in the state House of Representatives on June 27 after the Globe had begun asking questions about his firm’s business practices. His decision stunned colleagues, coming so late in the election cycle that there was no time to take his name off the November ballot. Bradley explained at the time that Michael Thornton was retiring and that he, Bradley, was being promoted to managing partner of his law firm. As a result, he wanted to focus on his legal work. Thornton is now chairman of the firm. Some campaign finance experts say they expect Thornton’s reimbursement system is likely to raise suspicions among regulators and law enforcement officials alike. “The use of the word ‘bonus’ for these payments, combined with the fact that they so closely matched the amounts and timing of the donations, would certainly capture the attention of the general counsel’s office at the FEC— and given how much was involved, the public integrity section at the Department of Justice,” said Kappel, the Washington campaign finance lawyer. The Globe and the center could not find another law firm that used a similar reimbursement system. Thornton itself stopped the reimbursements when the Globe and the center began asking about it. Meanwhile, in the Senate, measures to change the asbestos litigation system continue to pop up. This year, the Furthering Asbestos Claim Transparency Act passed the House, but ran into opposition from Schumer, the New York senator who was a top recipient of Thornton donations. Doug Weber and Alex Baumgart of the Center for Responsive Politics contributed to this report. Andrea Estes can be reached at andrea.estes@globe.com. Viveca Novak is editorial director of the Center for Responsive Politics, a Washington, D.C., nonprofit that tracks money in politics. She can be reached at vnovak@crp.org. Follow her on Twitter @vjn.